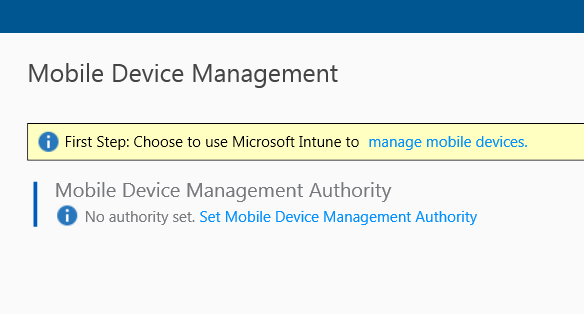 I have a demo/test environment for Intune enrollment where I have configured Configuration Manager as the Mobile Device Management Authority. I have been thinking about a change in approach, as most of my test devices are either lightly managed PC’s or mobile devices. 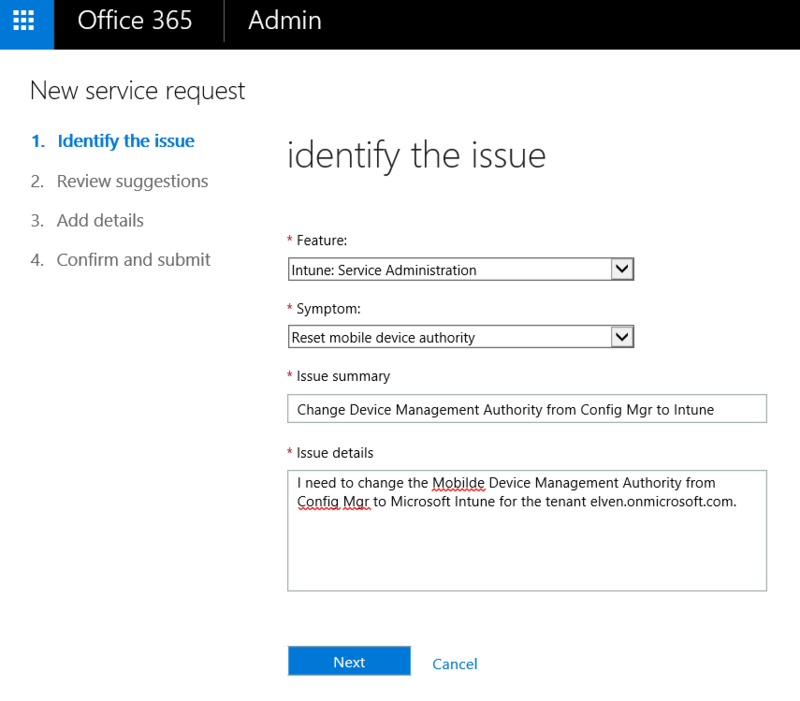 So I wanted to change and use Microsoft Intune only as the MDM Authority. 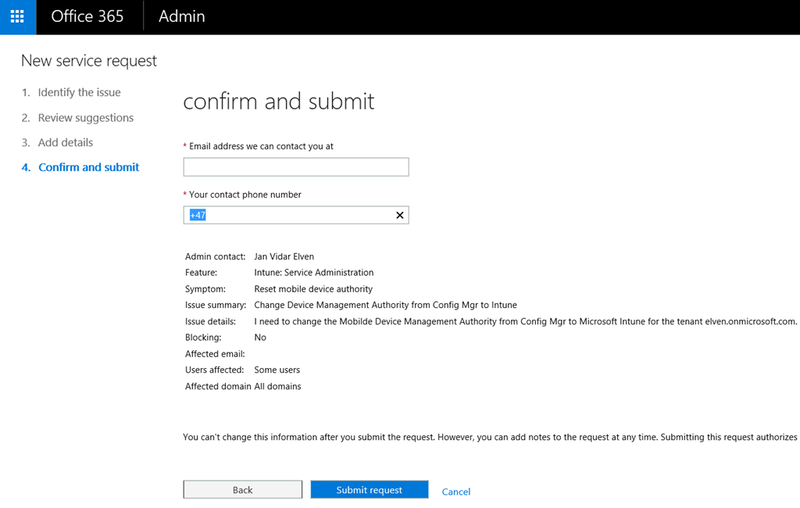 Referring to the official documentation for setting Mobile Device Management Authority, https://technet.microsoft.com/en-us/library/mt346013.aspx, this can only be set initially when configuring the tenant, and cannot be changed later! But, there is a way. 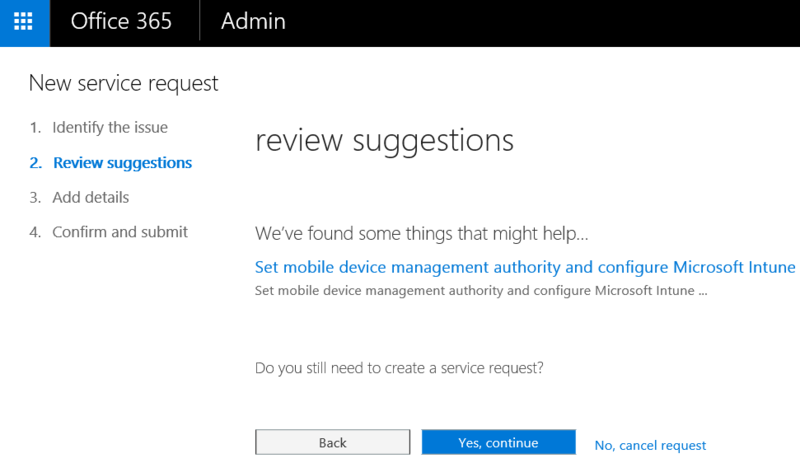 You can create a Service Request ticket with Microsoft, and request a reset of the mobile device authority. Basically, this is a real start over with clean sheets. If that is what you want, read on, if not, stop here . In this blog article I will show the steps I went through to reset my MDM authority. 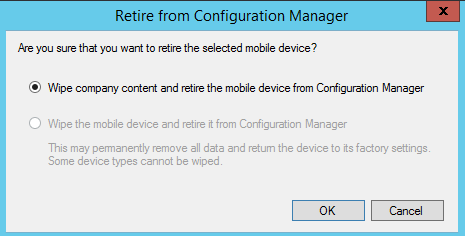 · Retire all Modern Devices (mobile devices) from within the Configuration Manager Console. 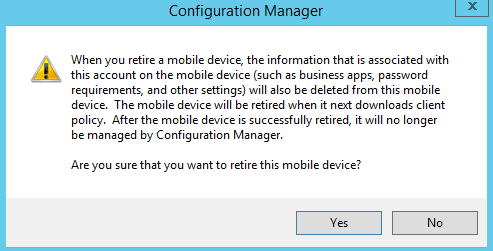 It is important that you do not attempt to retire a device from the device itself for this procedure to be executed. · Point the Intune Subscription to an empty user collection, or, remove all users from the targeted collection. and confirm in the CloudUserSync.log that all users are removed. 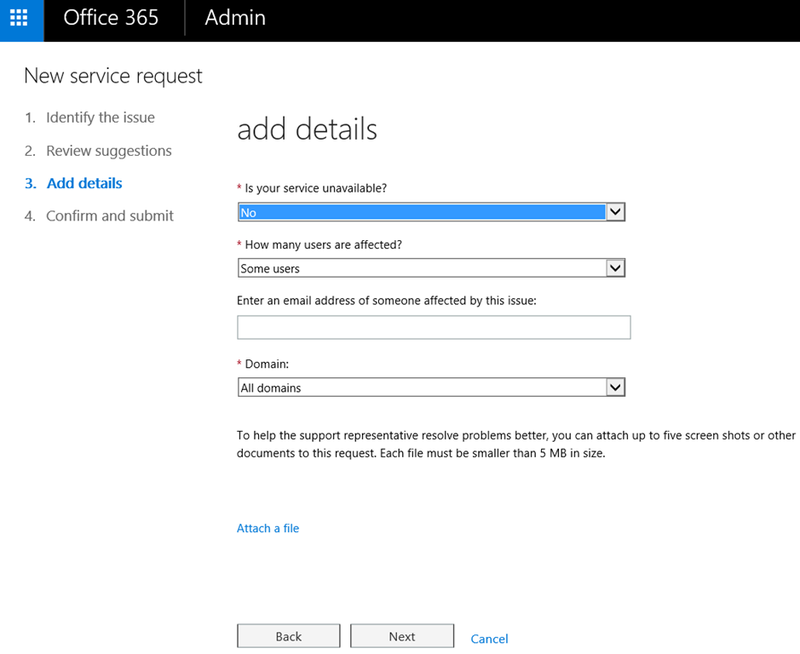 · Remove all users from the Intune User Group. · Then restart the CloudUserSync thread in ConfigMgr (or restart SMS_Executive if easier) and then when CloudUserSync starts up, it should deprov the users. –> Right click Requested Operation –> Modify –> type ”Stop” and click on ok. Please ask customers to provide a couple of sample UPNs after they remove all user licenses and confirm in Viewpoint the sample users no longer have SCCM licenses. Lets step through the main parts of the checklist. After that the clients are in a status of “Pending Retire”, they will eventually be removed when they sync again. Some of my devices are inactive test devices, so I just turn them on and initiate a sync. After a while I have still some devices left in a pending state. I know that these devices are not existing anymore, so they will not be able to sync. I will let the service request technician know about these, as instructed in the checklist. 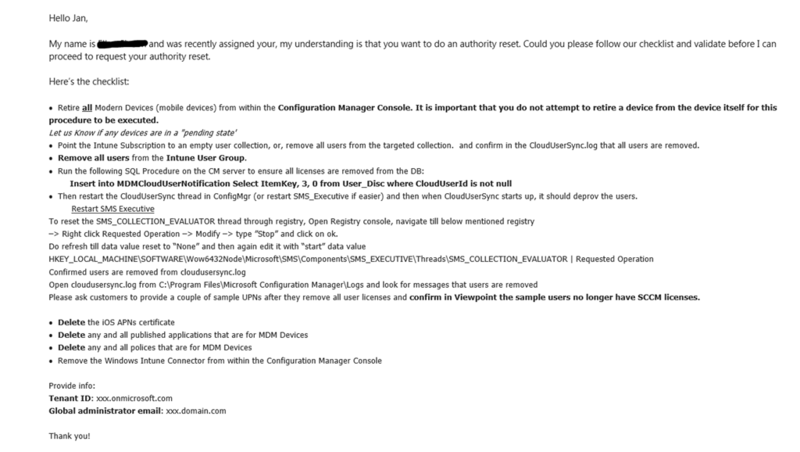 In this case, the service request technician instructed me to remove the devices registered for the users in question in the Azure AD management portal (http://manage.windowsazure.com), select the user and removing any mobile devices registered. After that, restart the “SMS Executive” service, and look in the CloudUserSync.log to confirm that all users are removed. Take another look in cloudusersync.log from <configuration manager install dir>\Logs and look for messages that users are removed. The service request technician might ask customers to provide a couple of sample UPNs after they remove all user licenses and confirm in Viewpoint the sample users no longer have SCCM licenses. 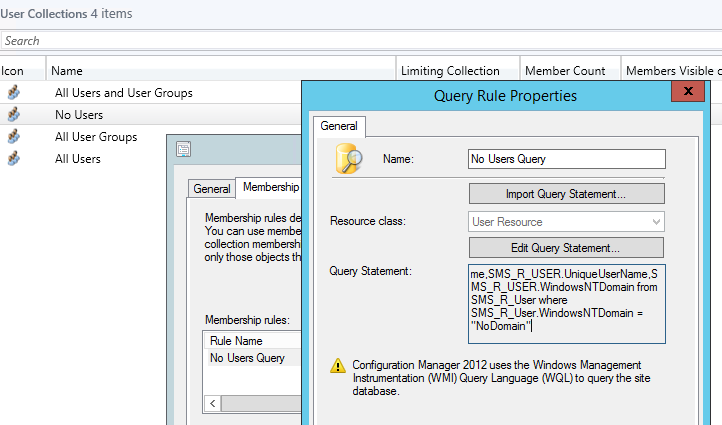 After the users are removed, MDM configurations must be removed from Configuration Manager. Under Software Library, find all applications for the Mobile Devices. Before the applications can be deleted, any deployments must be removed first. Under Asset and Compliance, delete all related to Mobile Devices.. 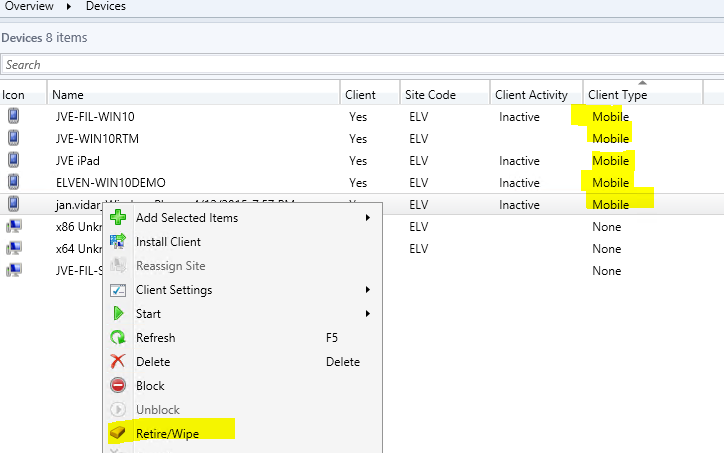 Finally, remove the Windows Intune Connector from within the Configuration Manager Console. All in all the whole process for me took 9 days. Some of these days was for me to complete the checklist, the rest was basically waiting for responses on questions, updates and the confirmation. 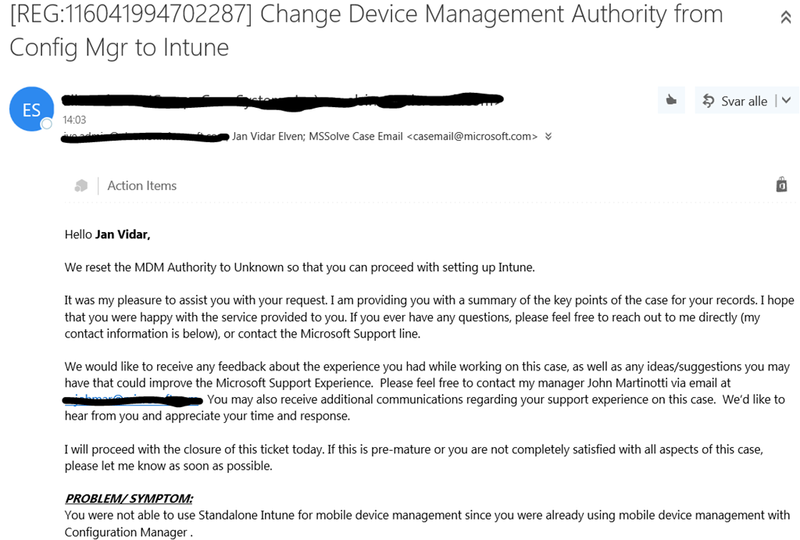 End result was as expected, I can now register my mobile devices with Microsoft Intune the MDM authority. 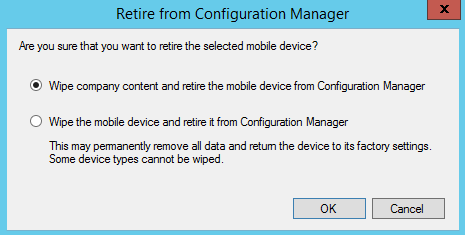 If I later want to go back to Configuration Manager as MDM Authority, I would have to do basically the whole reset process again, except that the cleanup will be in Microsoft Intune. A service request will provide details on that as well, and if I do it on a later time, I will put up a blog article on that as well! This entry was posted in Enterprise Mobility Suite, Microsoft Intune and tagged Microsoft Intune;Configuration Manager on April 29, 2016 by Jan Vidar Elven.